Aug 26-Sept 2, Hampton Classic, Bridgehampton, N.Y.
Sept 28, Kentucky National, Lexington, Ky.
Oct 1-7, Capital Challenge Upper, Marlboro, Md. Oct 18-27, Pennsylvania National, Harrisburg, Pa.
Oct 31-Nov 4, Syracuse Invitational, Syracuse, N.Y.
Dec 4-9, National Horse Show, Wellington, Fla.
Jan 18-19, Green Cove Springs, Green Cove Springs, Fla.
Feb 20-24, Florida Classic, Wellington, Fla.
Feb 27-Mar 2, Wellington Masters, Wellington, Fla.
Mar 26–30, Tampa Bay Classic, Tampa, Fla.
Aug 29–Sept 2, Showpark All Seasons Summer, Del Mar, Calif.
Sept 12-16, Oaks Blenheim Fall Tournament, San Juan Capistrano, Calif.
Sept 19-23, L.A. International Jumping, Burbank, Calif.
Sept 26-30, Del Mar International, Del Mar, Calif.
Oct 31-Nov 4, Las Vegas National, Las Vegas, Nev.
Nov 14-18, L.A. National Horse Show, Burbank, Calif.
Jan 29-Feb 3, Desert Circuit II, Thermal, Calif.
Feb 5-10, Desert Circuit III, Thermal, Calif.
Feb 19- 24, Desert Circuit IV, Thermal, Calif.
Mar 4-9, Desert Circuit VI, Thermal, Calif.
Mar 19-23, The Palms Classic, Del Mar, Calif.
Mar 26-30, Oaks Blenheim Spring I, San Juan Capistrano, Calif. 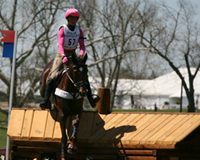 Some competitions are pending final approval from the USEF Executive Committee and the FEI. Stadium Jumping, Inc., the company that runs three World Cup Qualifiers in Wellington, Fla., is also making substantial improvements to its busy facility. These improvements include resurfacing the footing in the Internationale Arena, a large task that began in June. Total renovations to the venue will exceed $750,000. Course designer Anthony D’Ambrosio added “Once the footing is prepared for the covered arena, it will be inspected by a technical delegate representing West Coast riders.” D’Ambrosio will be assisting the HITS management throughout this process. 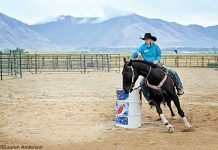 The World Cup Qualifiers are the most vital aspect in the World Cup process, and the USEF reports that ensuring top-class competition venues to prepare the country’s best horses and riders for optimal performances at the Final is of utmost importance.